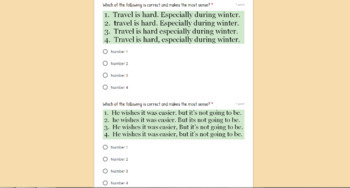 Writing Sentences: This quiz has students identify the correct version of a sentence from four similar options. There are 10 questions total. 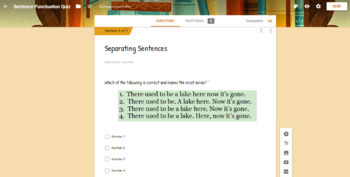 There is also a diagnostic intro question about capitalization rules which is currently not scored (but can be worth points if you choose). 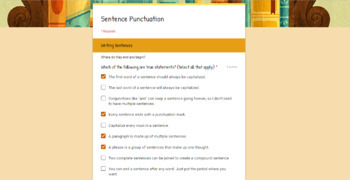 This Google Form (fully usable on Google Classroom) is automatically graded! Scores come back in ready-made graphs that highlight trouble areas! This is the student performance data we’ve been dreaming of!